According to the Canadian Centre for Policy Alternatives (CCPA) (2016), Alberta has among the lowest rates of off-reserve Indigenous child poverty in Canada at 26%. In comparison, Manitoba’s rate is 39% and Saskatchewan’s is 36%. The child poverty rate for those with First Nations status off-reserve in Alberta is approximately 39%, while for Metis children the rate is much lower at 20%. For Indigenous children on reserve in Alberta, the poverty rate skyrockets to 60%. According to the National Household Survey (2011), the poverty rate for Indigenous children in the City of Edmonton is 30%, while for non-Indigenous children the rate is approximately 12% (Canadian Centre for Policy Alternatives, 2016). Canada’s painful history with residential schools, in addition to the chronic underfunding of Indigenous services both on and off-reserve, has left many First Nations communities living in abject poverty (Canadian Centre for Policy Alternatives, 2016). Indigenous peoples can also experience higher rates of diabetes, substance abuse, post-traumatic stress disorder (PTSD), depression, heart disease and obesity (Ubelacker, 2013). The experience of being forcibly removed from their cultures, traditions and customs during the residential school period can partly explain the present health challenges experienced by many Indigenous peoples (Howard, 2017). In addition, as a result of the physical, emotional, mental and sexual abuse experienced by many Indigenous peoples in residential schools, there is a general mistrust of mainstream institutions within Indigenous communities, which can exacerbate existing health struggles by discouraging access to health services (FCSS, 2015). 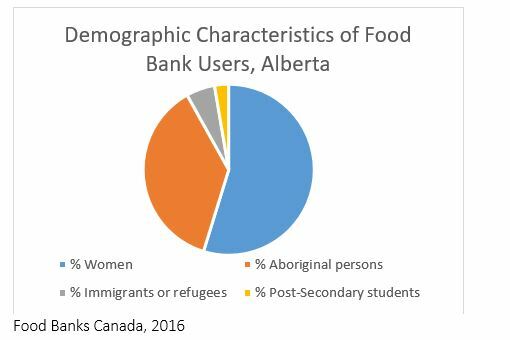 Indigenous peoples are also overrepresented as food bank users in Alberta. In the 2016 Hunger Count, 33.5% of food bank users identified as Indigenous (Food Banks Canada, 2016). Indigenous peoples also experience significant challenges obtaining employment in Alberta. 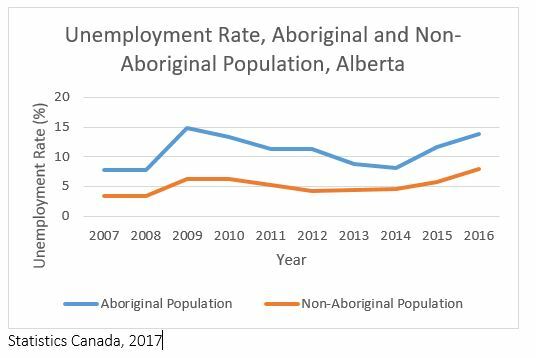 In 2016, for example, Indigenous peoples had an unemployment rate of 13.8%, compared to 7.9% within the non-Indigenous population. Indigenous peoples also experience lower labour force participation rates than their non-Indigenous counterparts. 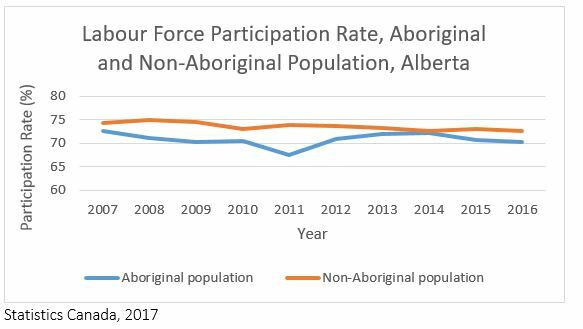 In 2016, for example, Indigenous peoples had a participation rate of 70.3%, while non-Indigenous Albertans had a rate of 72.6% (Statistics Canada, 2017). In conclusion, Indigenous peoples in the City of Edmonton and Alberta experience high rates of child poverty and negative health outcomes resulting from the chronic underfunding of services and the harmful legacy of residential schools (Canadian Centre for Policy Alternatives, 2016). First Nations peoples in Edmonton are also overrepresented within the homeless population and food bank users and experience significant employment barriers (7 Cities on Housing and Homelessness, 2016). Family and Community Support Services Calgary (FCSS). (2015). Social Inclusion of Vulnerable Seniors – A review of the literature on best and promising practices working with seniors. Howard, H. (2014). Canadian Residential Schools and Urban Indigenous Knowledge Production about Diabetes. Medical Anthropology, 33(6), 529-545.